Last week I discussed the Best of 2018 in relation to this year’s Wild Turkey releases. Today’s post will be a little different. Consider it a “best of” in relation to this blog and the relationships I’ve developed as a result. There will most certainly be a review. In fact, today’s review wouldn’t be possible without the help of a generous bourbon friend. I’ll start by saying thank you, but know that it means so much more than two words on a back-lit screen. When I first started writing whiskey reviews I was very critical of myself. Having followed quality whiskey blogs early on like Sku’s Recent Eats, Sour Mash Manifesto, and Red, White & Bourbon, I knew I wanted to get my opinions across in a similar fashion. The problem was, while I loved tasting various whiskeys and compiling notes, I lacked a driving passion to research and write about the majority of bottles I picked up. That is, of course, until I discovered Wild Turkey. What I’ve found in Wild Turkey is something greater than a famous American spirit. Far beyond its uncompromising quality and enthralling history, there are people – everyday people that make a difference both inside and outside of the iconic brand. From legendary master distillers to lifelong consumers, I’ve learned that Wild Turkey’s motto, “Bold. Genuine. True.,” has a deeper meaning. It speaks of the people behind the bourbon. It speaks of the people that love the bourbon. 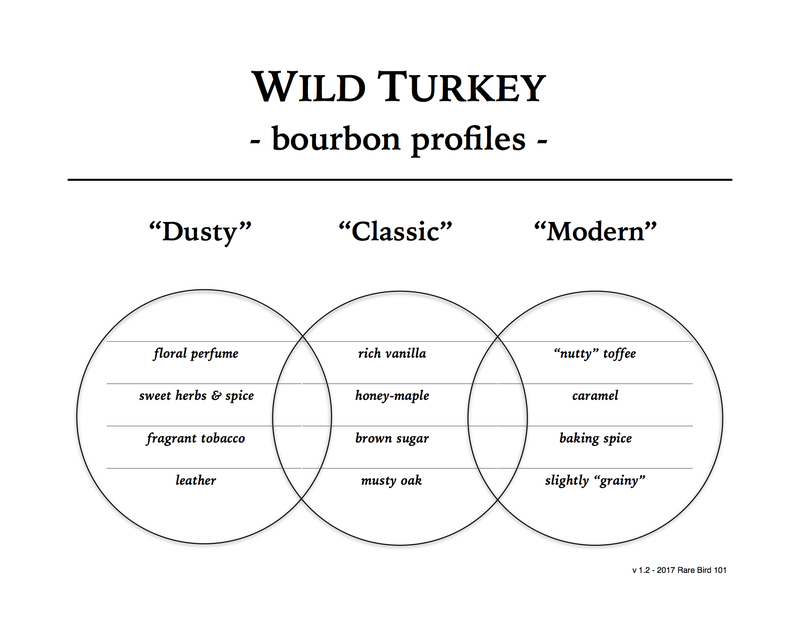 It speaks of a binding characteristic that encompasses all that is and surrounds Wild Turkey. When I first started on this journey back in 2016, I had no idea I’d encounter such wonderful folks. My original plan was fairly straightforward – dig into the expressions, build a library of notes and reviews, and in the process, perhaps an internet stranger might enjoy a post on occasion. Over the last two years I’ve come to know this hobby’s finest. From dedicated readers of all walks of life, to veteran enthusiasts firmly entrenched in the industry, I’m repeatedly humbled and honored to have such fine folks spend their valuable time reading my two cents on my latest pour. So much so that my primary goal has undoubtedly changed. While I thoroughly enjoy discerning tasting notes and critiquing expressions, I’m no longer focused solely on building an expression reference library. And while my review count will continue to grow, my driving resolution is to share anything and everything I can about Wild Turkey. My focus is on you, the best of this hobby, and I sincerely hope that I’m able to give back to you what you so often give to me: appreciation, direction, and purpose. I believe that’s a perfect segue into to the subject of today’s review, a 1995 Wild Turkey 101 “Christmas Rye.” Thanks to the kindness of Dr. Stephen Benson of Flight Club (a blog you should all be following), I have the opportunity to taste this particularly rare and sought-after whiskey. It’s not my first 101 Christmas Rye expression, but based on the scarcity of this label’s release (as Wild Turkey traditionally produced far less rye than bourbon) it might be one of my last. Thank you again, Stephen. Now it’s time to find out how this ‘95 Wild Turkey 101 Rye measures up to other 101 Rye releases. Surely it’ll have a dusty vibe (at least that’s my best guess), but will it have enough rye spice and character to set it above its mid-90’s bourbon comrades? There’s only one way to know. Let’s pour! Overall: Merry Christmas to me! This is one fine example of why you shouldn’t let dates alone influence your choices. If you recall, I reviewed a 1990 Wild Turkey 101 Rye back in February. While a fantastic whiskey in its own right, I ultimately felt it was more “bourbony” than rye-like in profile. This ‘95 has notable, yet rounded rye spice and zest – very typical of well-aged Kentucky straight rye. And so the lesson (outside of “try before you buy”) is to note that earlier releases aren’t always better releases. Such as with this pour, where I find the ‘95 to be preferable in profile over ‘90. Regardless of what you celebrate (or don’t), I wish you all the very best. May you have peace and joy this holiday season. Cheers! – David J.
Glad you chose Wild Turkey! Great articles always! I enjoyed the WT Christmas Rye when I had an opportunity I had to sample it a few years back with another WT fan. Our discussion included the opinion that this may not be a Kentucky rye. The label mentions its bottled by WT and only refers to it as a straight rye, not a KY straight rye. It depends on the year. Austin, Nichols sourced rye from MD, PA and IL for WT 101 Rye until they purchased Boulevard (1972). Sometime after, Jimmy started distilling rye with his own recipe. Pretty much anything bottled after 1980 was produced at Boulevard. As for the Xmas Rye … the back label clearly says distilled in KY (like the bourbon).